Go to the YA Scavenger Hunt page to find out all about the hunt. There are SIX contests going on simultaneously, and you can enter one or all! I am a part of the GREEN TEAM–but there is also a red team, a blue team, a gold team, an orange team, a red team, and a purple team for a chance to win a whole different set of books!If you’d like to find out more about the hunt, see links to all the authors participating, and see the full list of prizes up for grabs, go to the YA Scavenger Hunt page. 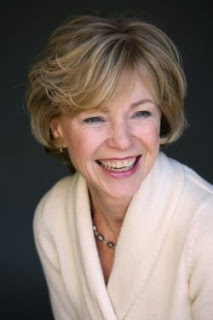 Today, I’m hosting C. Lee McKenzie on my website for the YA Scavenger Hunt! C. Lee is a I’m a hybrid author who writes for both young adult and middle grade readers. During this lovely Scavenger Hunt she’ll also have a Rafflecopter Giveaway on her BLOG for an eBook of Sudden Secrets. To find out more about here, stop by her WEBSITE. She’s always got gifts for new visitors. 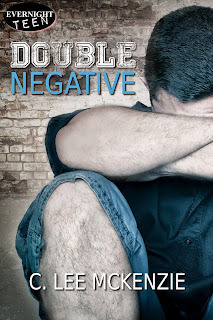 Now I’d like to introduce you to DOUBLE NEGATIVE, C. Lee McKenzie’s most recent book! “My life was going, going, gone, and I hadn’t been laid yet. I couldn’t go into the slammer before that happened.” Hutch McQueen. Sixteen-year-old Hutchinson McQueen is a big time loser. Trapped in a dysfunctional family, his one thought is escape, but everything he does to get away lands him in trouble. Shackled by poor reading skills, he squeaks through classes with his talent for eavesdropping and memorizing what he hears. When he shoplifts and lands in juvenile detention, the court sentences him to a county youth program. There he meets the priest and Maggie, a retired teacher. They’re determined to set Hutch on a path leading away from trouble. Hutch is determined not to cooperate. It isn’t until he’s facing serious charges that he confronts the truth—his own bad choices are trapping him. When he’s offered the freedom he craves, all he has to do is take it. TEACHERS SAYS: READ THE FOLLOWING CAREFULLY. IT’S IMPORTANT TO UNDERSTANDING THE REST OF THE POST. W#anT t# re#d #nd #nj#y # g##d st#ry? Wh#T #f y## c##ldn#t do th#t? W##ld y## b# fr#str#t#d? #ngry? S#cr#t#v#? That article was the beginning of Double Negative. Hutch, then Fat Nyla and Maggie slowly evolved into the characters, then came Father Kerry, Moss and Meeker. All destined to play a part in a story about a kid who can’t read well enough to get through high school, but has the heart of a winner. All he needed was a pair of glasses and someone to believe in him.“My life was going, going, gone, and I hadn’t been laid yet. I couldn’t go into the slammer before that happened.” —Hutch McQueen. And don’t forget to enter the contest for a chance to win a ton of books by me, Lea Nolan, and more! To enter, you need to know that my favorite number is NINE (9). Add up all the favorite numbers of the authors on the GREEN TEAM and you’ll have all the secret code to enter for the grand prize! To keep going on your quest for the hunt, you need to check out the next author! Visit J.R. Johansson’s website here. My favorite Halloween candy would have to be peanut butter cups. Mt favorite candy is Laffy Taffy. My favorite Halloween candy is caramel apples, cant seem to get enough of them! especially home made!! my fav Halloween candy right now are the caramel apple twizzlers! I can’t get enough of them!! Reese’s Pumpkins!! For some reason all holiday Reese’s taste 1165487154685 x’s better than the original candy! Hmmmmm … I’m probably one of those odd ones that LOVE Twizzlers!!! I even like black licorice! YUM!!! Caramel Koalas! Yay Halloween in Australia! My favorite candy is Jolly Ranchers. Where are the peanut M & Ms? Everything else is yours. Heath toffee bars…they are the best! It would have to be candy corn because it’s the only time of year I get to eat it. I like midnight musketeers bars. I love candy corn and reeves pumpkins!!! Love love love! Thanks for being part of the hunt! Reese’s Pumpkins are my favorite!!! YUM! So good! I want one now! Hehe Thanks so much for being a part of the YA Scavenger Hunt! Any candy is my favorite candy. Especially chocolate bars, M&Ms and Skittles. There are these suckers that are apple flavored with caramel on them! I can rarely find them but when I do it’s great! Twix. Definitely. Peanut butter if possible, but any Twix are welcome. I love jawbreaker! You don’t see the very often anymore but they are my favorite. Followed closely by the vanilla tootsie rolls. Midnight Milky Way Bars are my favorite Halloween treats! Oh boy, such a hard decision! I’m a pretty big fan of York peppermint patties. But I also love gummies! Thanks for doing a bonus YASH giveaway! My favorite candy is chocolate! I dint have a special Halloween candy but I do live getting chocolate on Halloween! Anything with chocolate, I love chocolate! Anything chocolate. I love chocolate! Here in Australia Halloween isn’t a huge thing. It gets bigger every year though! If I could Trick n Treat though, I’d be hoping to get some Reese’s Pieces or Peanut Butter Cups! Yum! My favorite Halloween candy is Snicker bars. My favorite Halloween candy is Kit Kat. I could eat a whole bag of them. Twix. Though that’s my favorite candy year round. Candy corn!!! I can’t get enough!! I don’t eat a whole lot of candy *gasp*… but I do like licorice a lot!!! Favorite Halloween candy? Tootsie Pops, of course! the mini reese’s peanut butter cups. so good! why do they taste better when they’re smaller? Reese’s Peanut Butter Cups! Yum!